THE ART OF SLOWING THE BODY DOWN . . .
My yoga practice creates a bridge from the breath to the body, and tothe mind. Using alignment based technique the purpose is to create ease of breath, fluidity within the joints, and mind/body connection. This is all done to offer you space to just to be in the moment, the present moment. Prenatal yoga can be a great way to support yourself during pregnancy. In prenatal yoga sessions we practice body movement using traditional yoga poses and integrate some restorative poses that will support your need for rest. All to help you create comfort and confidence pre-labor, during labor and post labor. In modern times our nervous system is on overdrive so the question is how do we bring it down a notch? Restorative Yoga is a workout I can stand behind it just lets you lay around. 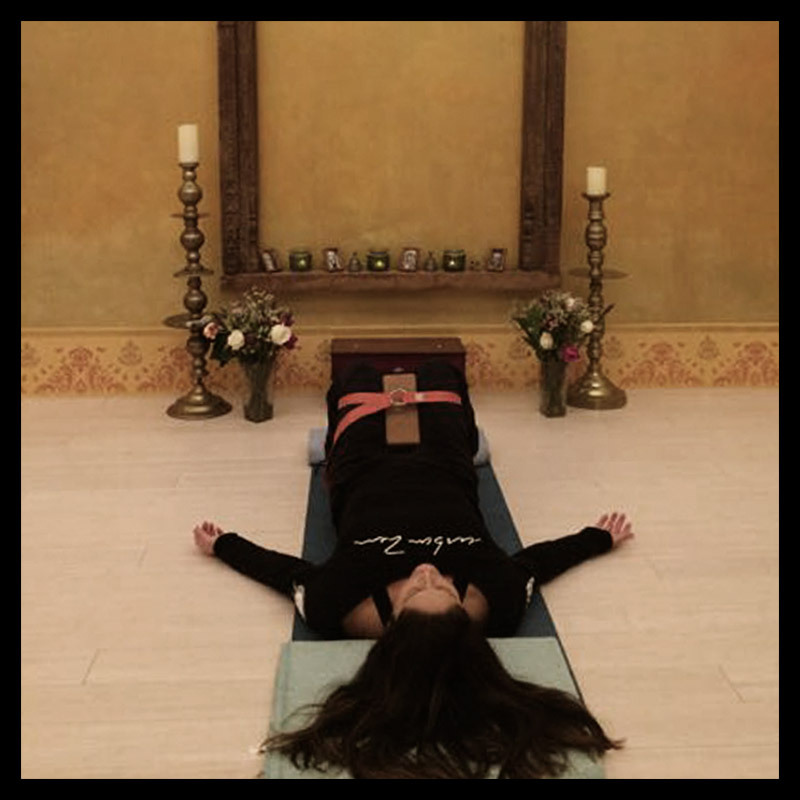 The body is placed in a series of restorative yoga poses using props to support different areas of the body so that you can rest. This offers you a moment to integrate the breath, body, and mind. This then begins bringing it down. You might also like UZIT session. The body is placed in a series of restorative postures to aide in common symptoms felt during and after pregnancy. If requested could offer as a UZIT session which includes movement, restorative poses, essential oils, reiki, and bearing witness. Yoga, meditation,and UZIT can be done as part of company team building session. Yoga, meditation and UZIT can also be for birthday parties and bridal parties. If you want a more personal semi-private session with your partner or friends I can do that too.